TripAdvisor, one of the most popular travel platforms in the world, published in early February the winners of Travelers’ Choice 2017, a recognition awarded to “The Very Best of Travel Chosen by Millions of Travelers.” In the “Hotels with best service” category, Hotel Plaza Colón is place #1 in Nicaragua with the best customer service. 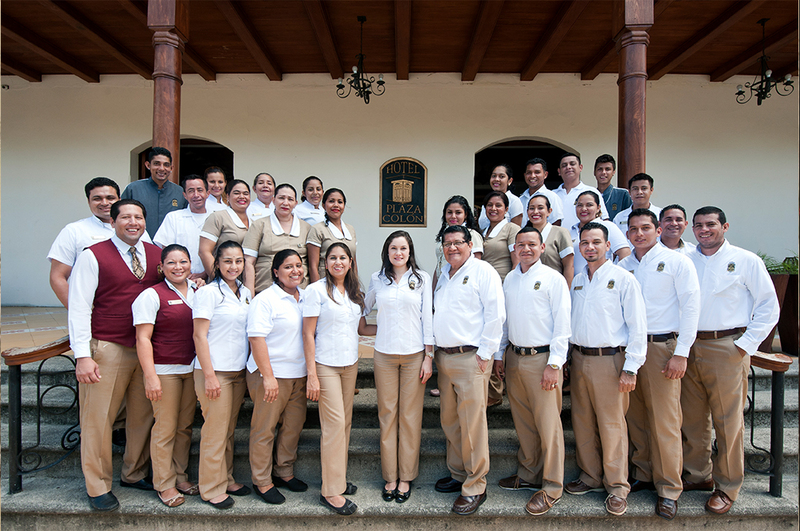 The hotel is also ranked in place #9 among the top 25 hotels with the best service in Central America. This may interest you: Tourism Excellence in Sustainability. Since its foundation Hotel Plaza Colón has focused on sustainability and customer service. Every month, hundreds of travelers from all over the world visit the colonial city of Granada and decide to stay at Hotel Plaza Colón, where they perceive the warmth and friendliness of the staff. This is shown on TripAdvisor through more than 1000 ratings where users recommend the hotel highlighting the hospitality and friendliness of the staff, as well as the sustainable actions implemented. This award is a recognition of each staff member who daily strive for the guest to experience authentic Nicaraguan hospitality and enjoy to the maximum their stay in the historic city of Granada.